There are many products available which profess to help us lose weight and get the body we think we deserve. Most of these claim zero side effects, natural ingredients, potent blends and rapid weight loss results. whilst some deliver on their promise most are simply nothing more than marketing gimmicks. Lipozene is one of the products that promise surefire results for all those who are serious about losing weight. Their marketing focus is a serious dieter. There are mixed reviews about the product and its efficacy so let’s take a look and see for ourselves if it live up to expectation. Positives: Product been around for several years, some positive feedback. 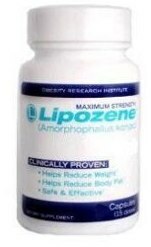 Lipozene is a diet pill that is manufactured by a US based Obesity Research Institute. The main function of the pill is to fill up the dieter for a long time and lead to effective appetite suppression. It does so with the help of which is the main active ingredient here. Glucomannan is a water soluble fibre which is enclosed in the capsules that one takes. Once ingested it expands by over 50 times in the stomach leading to a feeling of fullness for a long time. 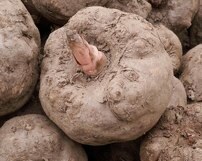 Glucomannan is a dietary fibre which is found in the konjac root, a common Asian plant. It is known to have lots of fibre and zero calories which make it a great ingredient for weight loss supplements. Glucomannan has long been known for combating constipation and obesity, and controlling blood cholesterol as well as blood glucose levels. It is therefore not unexpected that any Glucomannan supplement like Lipozene will raise a lot of expectations in every user. Unfortunately there is no proof of clinical trials to corroborate all these theories. Also conflicting information on the official website tends to put users on guard. While there are some studies on Glucomannan itself, it is difficult to find any proof that Lipozene itself has gone through any tests or trials itself. The official website is of no help and gives no indication whatsoever that there have any proper studies conducted on real live subjects. As a result it is difficult to know how safe or effective the pill could actually be for users. The main active ingredient in Lipozene is Glucomannan. It is derived from the Asian plant Konjac Root and tends to expand like sponge when it is mixed with water. While it stretches and fills the stomach it sends a signal to the brain that the body is full and does not need food for some time. This keeps hunger at bay and also leads one eat smaller portions at every meal. One major disadvantage is that the official website does not provide details of other ingredients in the pill other than Glucomannan. This obviously means that there are other filler ingredients in the capsule which may or may not be harmful. But without knowing what they are it is dangerous to try out the product. Since glucomannan is essentially a fibre it leads to side effects that one would usually associate with intake of similar fibrous products. This means that that the gastrointestinal balance of the body will be disturbed and one will experience symptoms like bloating, gas and diarrhea. While these may not be life threatening conditions they can be quite debilitating and lead to major weakening of the system. If one is taking this pill over a period of time and facing such symptoms, it can severely hamper one’s normal day to day living. Also, the fibre can lead to choking hazards so one needs to extremely careful during the intake. 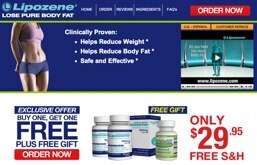 The official website says that Lipozene is clinically proven to deliver results like reduction of body fat and overall weight in a safe and effective manner. No further details so there is no supporting evidence to this statement. The money back policy is not clearly defined and the auto billing program can be hard to get out of. Once you give your credit card information you will find auto withdrawals every month unless you cancel. The bottomline is that while Glucomannan is known to have some weight loss benefits there is proof that Lipozene has them too. Moreover, a month’s supply costs roughly $90 which is very expensive since the supplement needs to be taken over a period of time. You can easily get cheaper and more effective Glucomannan products elsewhere and at half the cost. Available to buy from the official website. It has a heavy American influence and maybe off-putting to Uk customers or customer who more confident from buying from familiar British companies. Although PhenQ is not a direct alternative it is hard not to bring it in to the equation. 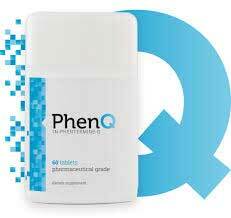 PhenQ is a fat burner that is arguably the best selling commercial slimming pill in the UK – it has been the subject of innumerable weight loss success stories, it is also produced in the UK.